Equality at work sounds great but how do we get there? After #MeToo, there's been a lot more talk about the advancement of women in the workforce. But how do we actually achieve it? What are substantive, tangible, actionable steps that can get us to true gender equality at work? A new report from Accenture, a global management consulting and professional services firm, has some answers. After surveying more than 22,000 working women and men with a college education in 34 countries, Accenture identified 40 factors that influence advancement of women in the workplace. The company then narrowed the list to 14 "cultural drivers" that are most likely to affect change. Those factors include a company setting diversity goals and announcing them externally, policies and programs including encouraging men — not just women — to take leave after the birth of a child, and an empowering work environment that includes making remote work widely available. Ellyn Shook, Accenture's chief leadership and human resources officer, said many companies today are working hard to get more women to the C-suite and into the workforce, but are coming up short because they're not focusing on their overall culture. For its part, Accenture has pledged to get to a 50% male, 50% female workforce by 2025. "When you look at the how, the how is around programs and practices and that just simply isn't enough," said Shook, one of the authors of the report. "When we went through our own journey, really it became very clear to us that in order to drive equality, we needed to have a culture that supported equality." Other cultural factors identified in the report include never asking employees to change their appearance to comply with company culture, providing training to keep employees' skills relevant, letting workers work from home on a day they have a personal commitment and making employees feel comfortable reporting incidents of sexual discrimination and sexual harassment. "It's doable. It's not theoretical," said Shook. One of the more surprising findings was that company networks that are exclusive to women help promote gender equality, but businesses with women's networks that are open to both women and men help more. "It's essential that organizations do not over-rotate just on women. It's about creating the level playing field," said Shook. "I think companies that have created a lot of women's programs are well-intentioned but what the research found is that they don't really help women accelerate their progress." The upside, according to the report, is game-changing. If the 40 factors that drive advancement were found in all work environments globally, for every 100 male managers, there could be up to 84 female managers versus 34 today. 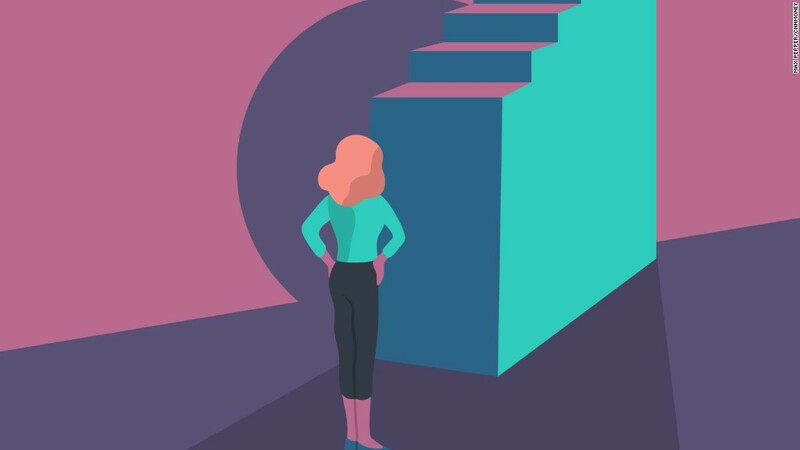 Women would be 35% more likely to advance to manager and four times (280%) more likely to advance to senior manager/director and beyond, according to Accenture. And that pay gap, where women earn $73 for every $100 a man earns today would be nearly wiped away. A woman could earn $92 for every $100 a man earns. But the gains wouldn't just be for women. Countering a concern from some men that equality in the workplace translates into women gaining at the expense of men, the Accenture report found that "when women rise, men rise, too." In companies where the 40 factors exist, men are 23% more likely to move up to manager level and more than twice as likely to advance to a senior manager or director position. "What really surprised me and frankly delighted me is that if you can drive a culture of equality, everybody rises," said Shook. "And I did not expect to see that."